ET REAL ESTATE – FREE & PREMIUM JOOMLA! TEMPLATE is Responsive Joomla! template that targets for best real estate websites. Joomla Real Estate Template comes with Page Builder for layout, Shortcode for present content easily, Support Font Awesome and K2 extended style. Joomla real estate template free is fully customizable – any design aspect can be easily modified, e.g. visuals, typography, palette, etc. Well-organized content sections and thought-out navigation facilitate the search of necessary info. And go with a pack of extra features that make them great solutions for building professional projects. JD CONSTRUCT – CONSTRUCTION JOOMLA! TEMPLATE has got every potential to develop a smart and powerful Joomla Construction website. It is a fully responsive Joomla Construction Template specially tailored for Construction, Building Companies and Architects. Without having any coding knowledge, you can even build anything and take control of your page layout with most advanced Quix Pro Drag & Drop Page Builder (You are saving $39). In addition, this modern and yet powerful Joomla Construction Template has been developed with Helix3 Framework. Being a user friendly, modern, highly customizable framework, you can easily integrate any module for your next Joomla 3.x website. PT ISLAND – REAL ESTATE JOOMLA! TEMPLATE is a fully responsive template built on the slick T3 framework. Dream House is a professional free real estate Joomla template for real estate companies, agents and brokers. This property Joomla template is well organized and structured and suitable for property websites, real estate, sale and rent of properties, property business and other related real estate websites. Integrated awesome features of Blank Joomla template make you comfortable to modify the theme – change body color and pattern, upload logo and change its width/height, change body links, typography, insert social links, copyright, tracking Google Code and more. You may like also its responsive design, crossbrowser compatibility and detailed documentation. LT Villa is responsive Joomla template that targets for Green Construction/Unique Design of Joomla websites. The theme appears as an artistic and elegant solutions for modern houses. 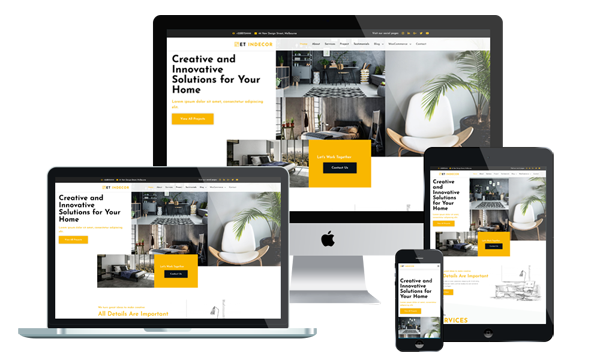 One more strong emphasis of this theme is that it offer creative ideas and friendly-environmental decoration for house construction business.Make your sites displaying on mobile / tablet version with 100% responsive layout, clean and stylish. LT Villa builds on powerful framework with fully bootstrap supporting elegant page builder, strong shortcodes, unlimited module position and multi-language. Besides, it is also included 4 color schemes and boxed layout to make your template look more motivated and attractive. LT Architecture is free Joomla template that targets for Modern / Architecture Joomla template websites. The theme comes with a clean and elegant design using soft-colors, which makes it suitable for setting up any architect-related business. This premium quality template will help you share the creative ideas and architecture projects. Make your sites displaying on mobile / tablet version with 100% responsive layout, clean and stylish. LT Architecture builds on powerful framework with fully bootstrap supporting elegant page builder, strong shortcodes, unlimited module position and multi-language. LT Travel is premium single & clear Joomla template for hotel and travel website. This is gorgeous template used for hotel or travel websites to promote some travel destinations, provide detailed information about tours, hotels and tour guides. In addition, it allows you to find the best travel insurance solution. LT Travel supports mobile devices with 100% responsive layout. It builds with latest Bootstrap CSS Framework and supports Font Awesome, extended K2 style, so on. It also comes with 4 colors schemes helping to create amazing websites with various layouts. LT Real Estate is Responsive Real Estate Joomla template. This template uses for homes for sale or estate websites for any purpose, specifically for realtor services, home staging, land brokerage, mortgaging, and others. LT Real Estate builds on powerful framework with 100% responsive layout (support for mobile devices) based on bootstrap, unlimited module position, strong shortcodes help you present content. Besides, it comes with 4 color styles, but in fact it is really customizable, has drag-drop tools and color settings helping to create awesome websites. LT Hotel is premium template tailored for hotel Joomla template websites. Hotel Joomla template is gorgeous and luxurious Joomla template used for responsive resorts, restaurants, hotels… to present the services, promote the marketing and establish a brand for your hotel. Amazing website can also attract visitors and increase your bookings. LT Hotel builds on powerful framework with 100% responsive layout (support for mobile devices) based on bootstrap, unlimited module position, strong shortcodes help you present content. Besides, it comes with 4 color styles, but in fact it is really customizable, has drag-drop tools and color settings helping to create awesome websites with various layouts. LT Interior Design is Responsive Joomla template tailored for furniture/ interior websites. Interior Joomla Template was created for interior design portfolios and exterior design companies. LT Interior Design supports mobile devices with 100% responsive layout, clean and stylish. Furthermore, it builds with extremely bootstrap based on strong template framework with unlimited positions, powerful shortcodes and easy to drag-drop layout content. The template comes with 4 colors schemes helping to create unique websites with various layouts.